Dennis has been in the architectural metal work field for more than 30 years. He started work on the shop floor progressing to pattern development, Cnc Programming and ultimatly Design. He has always been interested in making pieces that fit perfectly. He is considered an amateur boat builder, building several plywood and steel boats while working in the architectural sheetmetal field. His career in architectural metal work combined well with an enjoyment for sailing lead him to build his first boat, a 17' plywood sailboat. Years later he built a 34 foot double chine steel hull. Out of interest, he decided to further his knowledge and studied small craft design at Westlawn Institute of Marine Technology. He finishing Westlawn's curriculum in 1991. 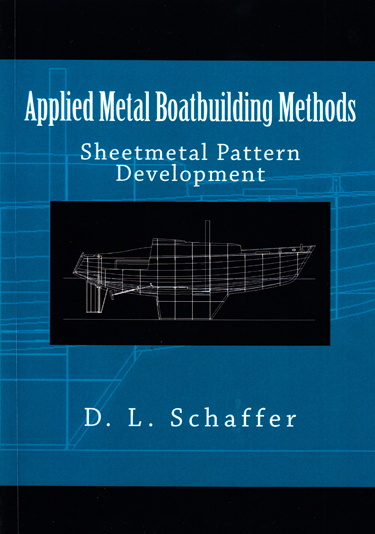 Dennis also contributed several articles, which were published in 'Boatbuilder' magazine on metal working methods as related to steel and aluminum hull construction. 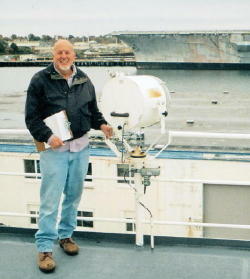 After merging his new found Small Boat Design skills, long standing architectural and metalworking experience, amateur boat building and Cnc Programing he became preoccupied with developing a procedure to simplify "One Of"true round steel and aluminum hull design and construction methods. His personal requirement for this method of construction would have to place the process within the grasp of amateur builders, while appealing to professional builders. The design and construction method both named and developed, by Dennis is formally called 'Bezier Chine' Design and Constrction. It is based on standard pattern development methods use in architectural sheetmetal work. The method is simple, consistant, and predictable. The Bezier 12.5 is the prototype build. It is a classic styled, tumblehone, aluminum, true round hull design. It was built by Dennis to illustrated the construction end of 'Bezier Chine' design. His book 'True Round Metal Boat Building', available on Amazon and Kindle,fully detail the theory of the design method and the time test metalworking methods used in construction. The book and build will show that "One Of" True Round metal hulls are within the skill level of amateur builders. It could also enable professional builders of hard chine boats to add true round hull to their product line.